The second phase of the high-stakes Lok Sabha poll is scheduled to take place on April 18 and political leaders are busy in hectic campaigning to woo the voters. Prime Minister Narendra Modi addressed a rally in Kathua and is scheduled to address public rallies in Aligarh and Moradabad in Uttar Pradesh. Samajwadi Party chief Akhilesh Yadav will address a rally in Rampur together with senior SP leader Azam Khan, who is the mahagathbandhan candidate from the Lok Sabha seat. Congress general secretary Priyanka Gandhi Vadra will be in Assam’s Silchar on Sunday in her first campaign trip outside Uttar Pradesh. Uttar Pradesh Chief Minister Yogi Adityanath will address rallies in Aligarh and Mainpuri in Uttar Pradesh, while Union Home Minister Rajnath Singh is scheduled to address rallies in Nagina, Aonla and Agra in Uttar Pradesh. BSP supremo Mayawati will be Chhattisgarh on Sunday to address a public rally, while NCP chief Sharad Pawar will visit Beed and Devrai for public rallies. Shiv Sena chief Uddhav Thackeray will address a rally in Osmanabad, Maharashtra. In Bihar, Chief Minister Nitish Kumar will address public rallies in Banka, Bhagalpur and Purnia. RJD leader Tejashwi Yadav is scheduled to address rallies in Banka, Purnia, Madhepura and Bhagalpur. * One of the biggest development of the day has been most opposition parties crying foul over the election process, some even raising aspersions over EVMs. BJP has hit back by regarding it as an excuse before an impending electoral defeat. 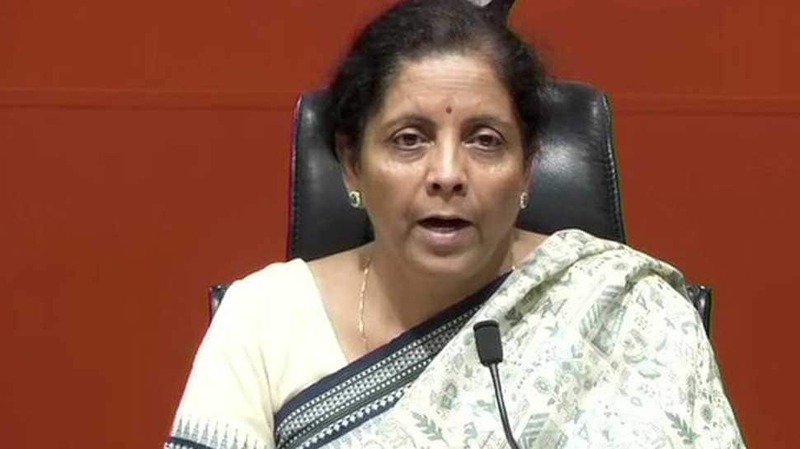 * Defence minister Nirmala Sitharaman says in Karnataka that the BJP is not politicising the armed forces but that it was not incorrect to compare a ‘weak government under Manmohan Singh’ to the decisive leadership of Narendra Modi. * Actress-turned-politician now turns to cricket? Click here to read report. * Is Robert Vadra set to join Congress? Here is what Raj Babbar said. – Today is Ambedkar Jayanti. It is because of B. R. Ambedkar that our democracy is as strong as it is. – We have to thank Ambedkar because it is because of him that a chaiwala could become PM, a person from the marginalised society could rise up to be the country’s President. * “I am not scared of I-T raids. Even when Deve Gowda went to somebody’s house for dinner their house was raided. What kind of govt is this? I don’t need to learn from PM. As a CM, I haven’t taken lives of innocent people, like he did,” Karnataka CM HD Kumaraswamy told ANI. * “Names of Lakhs of voters are deleted online without physical verification. There is a long list the parties have given to EC. It has become even more necessary to count at least 50% of the paper trail of VVPAT. We will demand the same in Supreme Court,” Singhvi said at a press conference. * “Questions were raised after the 1st phase of election,we don’t think EC is paying adequate attention. If you press the button before X Party,vote goes to Y party. VVPAT displays only for 3 seconds, instead of 7 seconds,” Congress leader Abhishek Singhvi at opposition’s press conference. * Congress General Secretary for eastern UP, Priyanka Gandhi Vadra campaigns for party’s MP candidate from Silchar parliamentary constituency Sushmita Dev in Assam. * Actor Dharmendra campaigns for Hema Malini, BJP MP & party’s candidate from Mathura parliamentary constituency. * BJP releases 20th list of 6 candidates in Haryana, MP and Rajasthan for Lok Sabha election. * “I would like to ask Congress, who would do justice when they did injustice for 60 years? Will Congress ever be able to provide justice to Kashmiri Pandits? Will they be able to provide justice to those massacred in 1984 riots?” PM Modi asked in Kathua. * Dharmendra to campaign for Hema Malini in Mathura today. * “The entire country was celebrating Jallianwala Bagh centenary yesterday but Congress politicised this sensitive occasion too. The Vice President was in Jallianwala Bagh for govt event, he paid tribute to the martyrs but Congress’ CM was not there,” PM Modi said in Kathua. * “You have proven the strength of democracy in India, in the first phase of elections. By coming out to vote in huge numbers in Baramulla and Jammu, you have given a befitting reply to the terrorist leaders, opportunists & people in ‘mahamilawat’,” said PM Modi at a rally in Kathua, Jammu and Kashmir. * “Hari Prasad Vemuru has demonstrated before EC many times that EVMs are prone to tampering. Y’day,we made a representation before EC, subsequently it was told that EC is not willing to discuss with him stating a criminal case against him. It’s unfortunate,” TDP’s K Ravindra Kumar told ANI. * “They say, as long as there is BJP govt, our borders are secure. We the people of Samajwadi Party believe that as long as there are brave soldiers at our borders, the borders are secure. Govts come and go but the jawans stay at the border protecting India,” said SP chief Akhilesh Yadav. * BSP releases fourth list of 16 candidates from Uttar Pradesh for Lok Sabha election. * Senior Congress leader P Chidambaram on Sunday tweeted that PM Modi goes around the country but does not speak about the real issues. Mr Narendra Modi goes around the country beating his own trumpet on his so-called achievements. * “Another day, another set of rallies and the great opportunity of interacting with my fellow Indians…Will join rallies in Kathua (Jammu and Kashmir), Aligarh and Moradabad (Uttar Pradesh). As the campaign is progressing, I can see that BJP’s support is steadily rising,” PM Modi tweeted. * 1,000 youth IPFT workers join Congress in Tripura, reported PTI. * This election will decide if J-K will be able to remain part of Union with dignity, said National Conference president Farooq Abdullah on Saturday.